The Royal Malaysian Air Farce umm... I mean Force, is also known as the Tentera Udara DiRaja Malaysia ( TUDM ). Recently, it made headlines yet again, all for the wrong reasons. In May 2008, it was reported that sometime earlier, two General Electric J-85 jet engines that powered the F-5E fighters of the RMAF had been missing from a warehouse in Kuala Lumpur. It was later established that the engines were stolen and exported to Uruguay by the combined efforts of greedy defence contractors and crooked RMAF personnel. These engines were procured by the Malaysian government in 1975 from the United States of America at the cost of a few million dollars. The criminals planned to strip the engines down to parts in South America and then sell it back to the RMAF. Before we go into the details of the scandal here's some background information of the jets and the engines. Like many third world air farces of the region, RMAF operated a squadron of the very popular F-5E and even the RF-5 Tigereye reconnaissance version. The F-5E could have its origins traced back to the 1950s, where Northrop developed a low cost, lightweight jet fighter that was meant to be sold to third world allies of the United States. It would be called the F-5A Freedom Fighter, with the F-5B being the two seat trainer version. 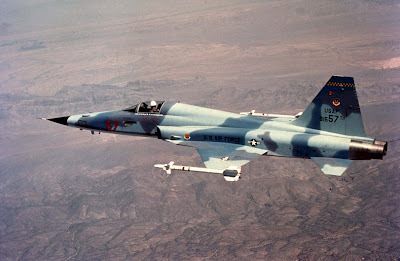 Production started in 1962 and the F-5A/B was sold to a number of countries including Taiwan, the Philippines, and even saw limited combat action with the USAF in Vietnam in 1965. By 1970, the requirement for an improved export fighter with better performance against aircrafts such as the MiG-21 saw the F-5A evolving into the F-5E Tiger II, with the F-5F being the 2 seat trainer version. They would be fitted with a more powerful afterburning engine, the General Electric J-85-21A jet engine. This is the engine at the heart of the RMAF scandal. This rather compact jet engine measures about 2.8m in length and has a diameter of 0.53m. It weighs approxmately 310kg. How something like this can disappear from an airbase and remain undetected and unaccounted for really defies logic. RMAF must have been extremely challenged at inventory management and book keeping ( which the Air Force later admitted to in court ). As usual, official accounts of how the incident took place can never be taken at face value. The jet engines and their service and maintenance records were discovered missing on 22nd May 2008 and a police report was lodged only on 4th Aug, a two and a half month delay! They were surposed to have been shipped to Argentina and then Uruguay. The contractor and RMAF personnel implicated could easily have been fall guys to take the blame for the misdeeds of higher ranking personnels. So far two ethnic Indians have been charged in court in connection with the theft and disposal of the engines. They are company director K. Rajandran Prasad and RMAF Staff Sergeant N. Tharmendran. By Jul 2012, more details have emerged. 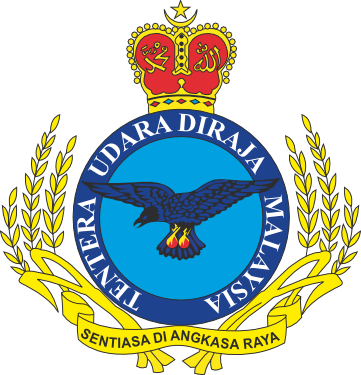 As prosecution witness, RMAF senior airman Corporal Mohamad Shukri Mohd Yusof, 29, admitted in court that he stole the 2 jet engines from the Sungai Besi Airbase in 2008 with another RMAF personnel known as Sergeant Fauzi after being asked to do so by Staff Sergeant Tharmendran. Fauzi was the lorry driver. On 30th Apr 2008 Shukri and Fauzi both wore uniforms to avoid arousing suspicion when they took the engines out of the Material Processing Shed Matra 1, RMAF base, Sungai Besi. He was then paid Malasian Ringgit RM 90000.00 ( USD 28116.00 ) in 3 instalments by Tharmendran. RM30000.00 was given to Fauzi and the rest was kept by Shukri who subsequently spent it on repaying his study loan (RM12000) , settle his car loan (RM8000), for investment (RM10000), honeymoon in Tioman Island (RM5000) and an undisclosed sum on shopping. When asked by the defendent's lawyer why he did not return the money to the police during investigations, the reply was " they did not ask for it " !!! Land of the Incompetent!!!! He also disclosed that after the incident, 30 RMAF personnel were sacked but he was not one of them because he was needed by the military as a witness to testify against Tharmendran, prompting the defendent's lawyer to cry foul - the person who stole was not only not charged or sacked but walk into the court to testify against two others who are facing charges! Another shocking admission was that it was not the first time he stole from the military. He had done it " four or five " times previously, and had stolen transmitters and aircraft spare parts, among other things. To retain a serial stealer in one's ranks is something so stupid that it is almost incomprehensible. Again, like I always say these Malaysian sagas can never be taken at face value. Someone higher up may have something more to hide by retaining this errant airman. 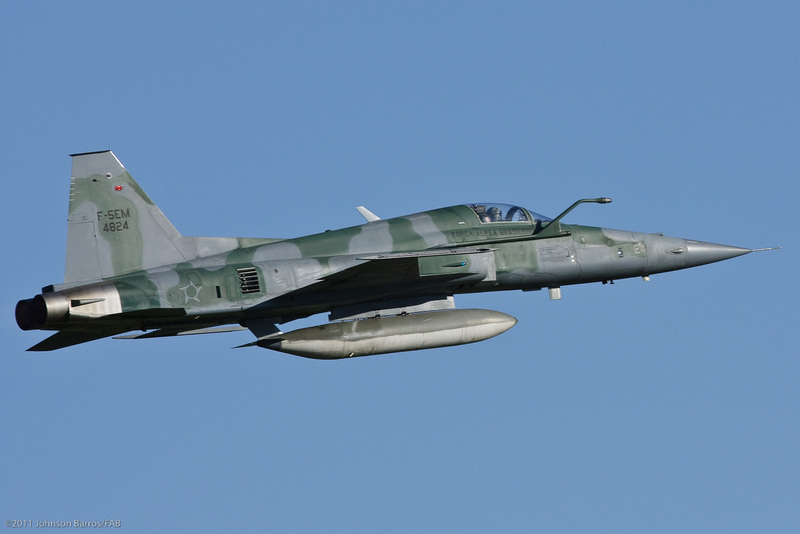 The court also heard from another witness, the Ex-Head of the 12th Squadron engineering division at the Butterworth Air Base, Abdul Rahim, that the process of removing a damaged F-5 engine from the base involves many processes, starting from the time the pilot files a report in the Integrated Computer Management System (SPKB). It is the responsibility of RMAF personnel to remove the engine from the aircraft but the containerising is done by a private maintenance contractor Airod Sdn Bhd. Many more steps are involved before the container can be moved to the godown Matra Tiga at Butterworth Airbase where it will eventually be sent to Kuala Lumpur Air Base, again after several more processes. That said, to have all these processes and checks bypassed should be no small feat, unless perhaps there are higher authorities involved? The Prime Minister Najib Razak who was Minister for Defense when the theft occured, swore that there would be no cover up. Malaysian government, as usual, said that no higher ranking officials were involved. Already, an Air Force General has been cleared and the small fry are held responsible. Director Rajandran Prasad pleaded not guilty to the charge of intentionally disposing off the engines at 49 Jalan TS 6/6, Taman Industri Subang on April 30, 2008. He was charged under Section 414 of the Penal Code which is punishable with a jail term of up to seven years and a fine upon conviction. He also pleaded not guilty to five money laundering charges involving RM437319.50 ( USD136619.00 ). 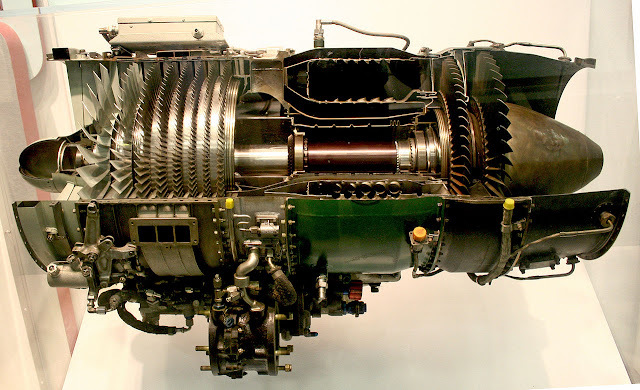 Staff Sergeant Tharmendran pleaded not guilty to conspiring with airman Mohamad Shukri Mohamad Yusop to stealing two J85-21A model of F5 jet engines from the Material Processing Shed MATRA 1, Sungai Besi RMAF Base, on April 30, 2008. He was charged under Section 380 of the Penal Code which is punishable with imprisonment for up to 10 years and a fine upon conviction. He also earlier pleaded not guilty to a money laundering charge, involving RM62000 ( USD19369 ). To make matters worse, leaked diplomatic cables from WikiLeaks also revealed that the Malaysian government had been tardy in notifying the United States government about the missing J-85 jet engines as required by Arms Export Control Act. It wasn't until 6th Jan 2010 that the US government was officially informed about the theft and the excuse given was that the investigations were ongoing at that time and not yet finalised so the notification was delayed. Naturally Uncle Sam is not too happy about the entire affair. 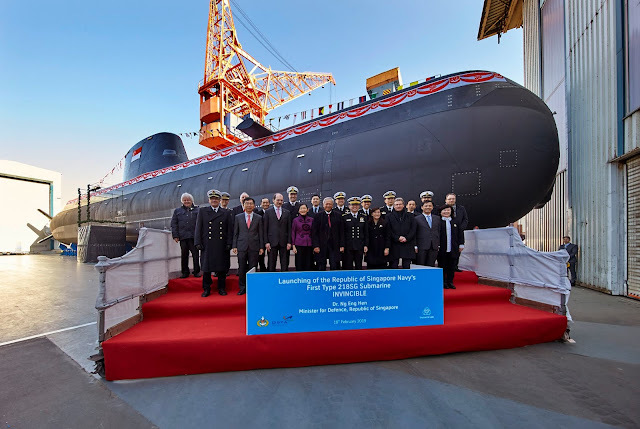 How would the Malaysian government be able to convice the US to sell them advanced weaponry if they cannot even account for entire jet engines and abide by their obligations of disclosure in the event of mishap? AIM-120 advance medium ranged air-to-air missile for the F/A-18 Hornets? They might just conviniently end up in Irkutsk or Novosibirsk ... Or maybe Teheran. Now we finally understand why RMAF is buying so many MiGs and Sukhois, for the Russians do not give a hoot how the planes are used or used against anybody or how you maintain your engines, or whether you have an impeccable human rights record, ill treat your dog, elope with your neighbour's wife etc. As long as the palm oil and cash keep flowing into their coffers, you can have the LATEST and the BADDEST toy in Putin's playroom, like the AA-12 ( NATO Code Name Udder Adder ). The incredulous saga continues .... Please keep watching this space for more insane and mind bloggling stuff. So, what happened next, it's 2016 now. It was a play from the beginning. Everybody gets their money, so case close.